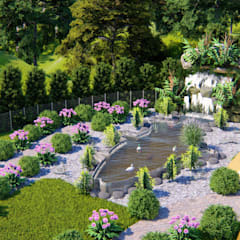 What is a garden pond? 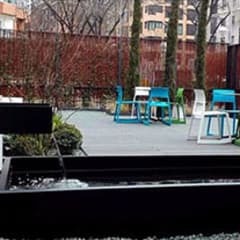 Water features like garden ponds can be a beautiful asset for your home. 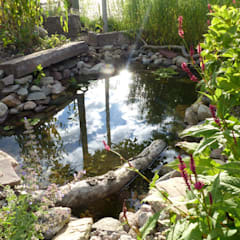 Backyard ponds are one of the most traditional types of garden water features. 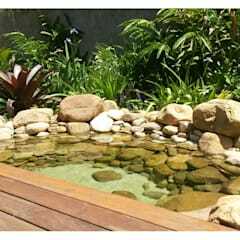 Provided there is enough space for a pool, you may easily design a delightful little pond in your backyard. 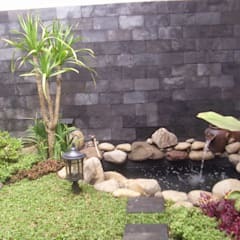 Even the owners of the urban or suburban homes with small gardens can have a charming garden pond of one’s own. 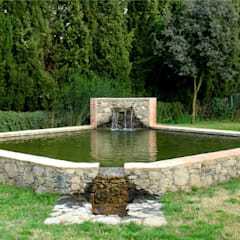 Traditional garden ponds promote the growth of aquatic plant and animal species. Their presence helps in balancing your garden ecosystem. 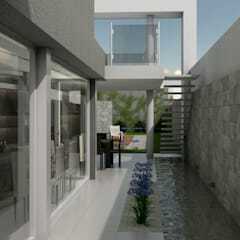 You manage to create a peaceful surrounding for your home. 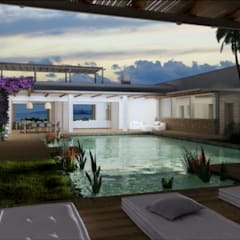 You may also build a swimming pond and enjoy the double benefits of having a natural pond and swimming pool in your home. 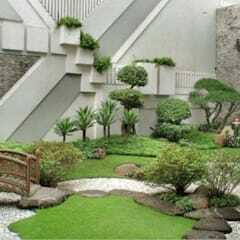 The garden soil needs less watering and finds greater nourishment in the presence of a garden pond. Many aquatic animals like shellfishes dig up the soil make its surface porous. They also help increase the level of carbon and nitrogen in the soil. This provides nourishment to your garden plants. 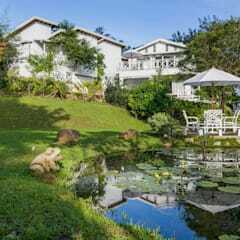 Pond water absorbs dust and some other harmful particles from the atmosphere and keeps the environment cleaner. How to build a garden pond? 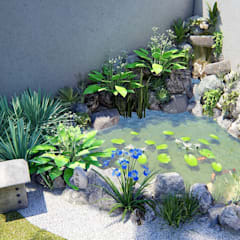 To design a pond in your backyard, choose a suitable spot and start the process of excavation. 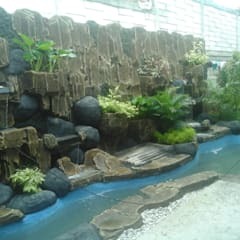 Your garden pond should have a depth of at least 24 inches. Create a gentle slope from the edges towards the middle. Remove broken bricks, pieces of concrete and stones from the site. Spread a pond liner. Fold the liner along the edges and make it seamless. 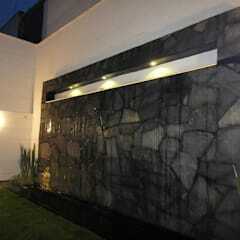 Use small boulders and river bed pebbles to line the edges. Utilise mortar to hold them in place. Spread a thin layer of gravel and sand on the pond bed. Place a pond filter on one side. 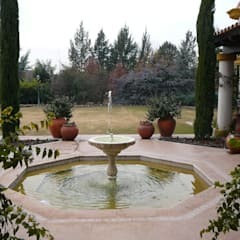 If you wish to have a small fountain, you may build a reservoir and install a pump inside the reservoir. 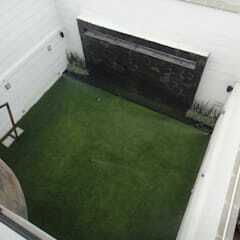 Fill the pond to the brim with rain or natural spring water. 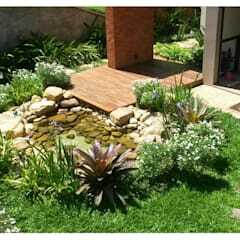 Decorate the pond with aquatic herbs and fishes. 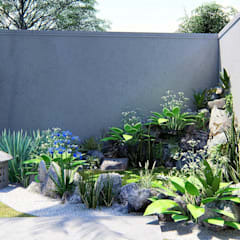 You may also seek help of a landscape designer to plan a gracefully decorated pond in your garden. 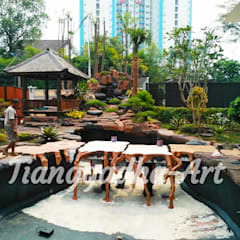 How to choose the right location for your pond? 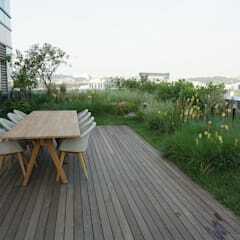 Choose a spot that receives sufficient amount of sunlight. Aquatic plants receive nourishment from sunlight. Don’t dig a pond directly under a shaded tree. Dead leaves may clog the water of your pond. 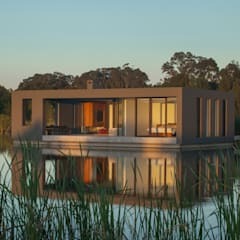 Don’t build a pond close to the outer units of air conditioners, generators or other electrical fixtures. The vibration and magnetic field caused by these electrical fixtures drive away the birds and some other animals. 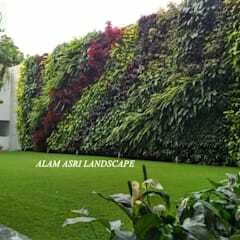 Choose an area which has gentle slopes away from the pond and a good drainage system. Otherwise the rain water may run into the pond and create a stagnant pool of water. 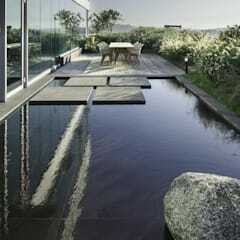 To enjoy it to the fullest possible extent, build a pond closer to home. What are the best plants for a pond? 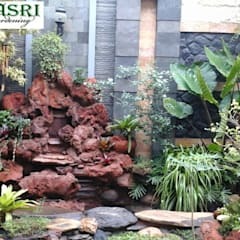 - Azolla caroliniana and Pistia stratioites are two of the floating plants that grow easily in a garden pond. They have beautiful foliage. Frog’s Bit or Limnobium spongia is another prominent plant in this group. All three are adored by fishes, so are particularly welcome in a koi pond. - Twice in a year, Water Hawthorne will cover your pond with an array of white flowers if you choose to have it in your pond. - Water lilies are one of the most cherished aquatic plant species. Choose the hardy varieties like Comanche or Attraction, sometimes called as Nymphaea Attraction. - Plants like water pennywort, aquatic mint and floating arum thrive in shallow water. What are the best fishes for a pond? - Goldfish – It is one of the most adored fish species. Goldfishes grow quickly and can be up to 14 inches long. - Shubunkin – Another beauty for your fish pond. They are smaller in size than the goldfishes. - Koi carps – A must have species for a koi pond. Koi carps may live up to 40 years. - Sunfishes can easily inhabit the same water with koi carps and Shubunkins. They are a hardy fish species. - Rosettes have lustrous red fins and silver bodies. They can be a nice addition to your fish pond. 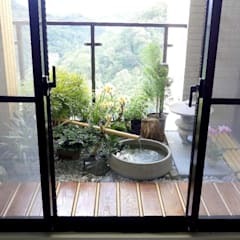 How to maintain a garden pond? To maintain the health of your garden pond use a skimmer and remove the dead leaves, debris and branches of the surrounding trees from the water. To fertilise the aquatic plants, use organic fertilisers. Add dechlorinator in the water if you are not filling up the pond with rain or natural spring water. To control the growth and propagation of algae, have plants like Anacharis in your pond. Stop feeding your fishes as soon as the water temperature dips below 10 degree Celsius. Fishes lose much of its digestive power in the cold weather condition. Feeding them during this time may actually kill them.